A pensioner could face jail after trapping and shooting at a cat in a revenge plot for ‘digging up his flowers’. Patrick Doyle, 71, of Fields Road, Wootton was rumbled after neighbours spotted him aim at a black feline caged in his back garden with a weapon. Bedford Magistrates’ Court heard on Tuesday that Doyle sought retribution on the neighbourhood cat population by buying an antique vermin trap at a market and baiting it with fish so he could cage any trespassing cat. 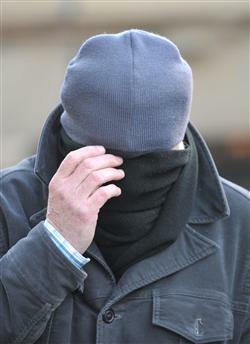 Doyle’s antics was spotted by nextdoor neighbour Caroline Benbow-Hunt who saw him approach the cage with an air rifle, take aim before firing in full view of her young daughter. In a statement read out in court Mrs Benbow-Hunt said she shouted: “Oh my God. He was going to shoot it.” She then described seeing the cat ‘thrashing about’ before she ran down and confronted Doyle. Doyle then said to his neighbour: “You don’t understand he’s been digging up my flowers.” The pensioner then attempted to show Mrs Benbow-Hunt that he had missed the cat with his shot but when he opened the trap the cat ran away. The RSPCA were called soon after. When questioned by RSPCA investigators Doyle said he had had a problem with cats ‘mucking all over his flowers’ and was sorry for what he did.